OUTER BANKS (WTVD) -- North Carolina's newest island along the Outer Banks is not much of an island, anymore. Shelly Island now connects to Cape Point at low tide. A stream of water about 20 feet wide and 6 inches deep flows between the two land bodies at high tide. 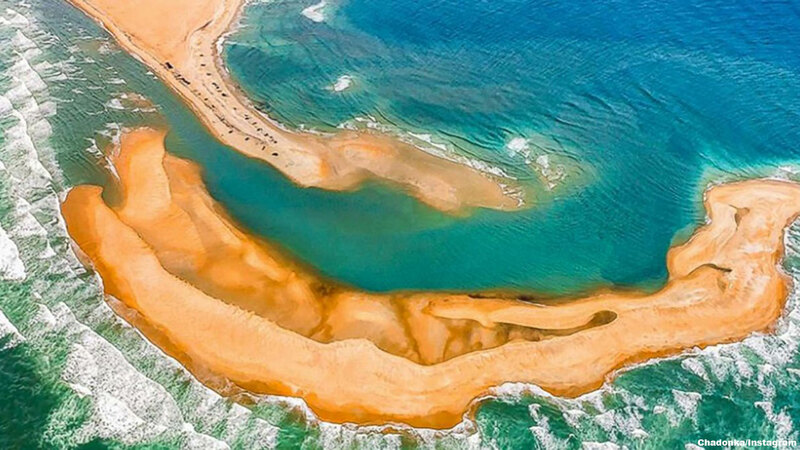 RELATED: A new island has popped up along North Carolina's coast! Cape Point belongs to the Cape Hatteras National Seashore. Officials said that by late August, the island was just short of mile long and 450 yards wide, totaling 27 acres, and it wasn't connected to land as of last week. NASA satellite images showed the island began forming in November and that it was clearly formed in July. The state and the Seashore are now discussing joint management of the land. They are looking at issues such as dog leash laws and bird-nesting policies.